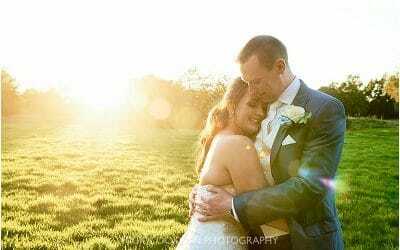 Becci & Aaron commissioned for their Colshaw Hall Wedding Photography well over a year ago. 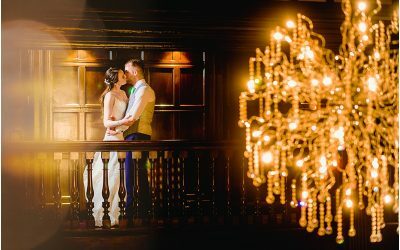 It was to be my first visit to Colshaw Hall – one of the most exclusive and luxurious Cheshire wedding venues, so I was really looking forward to it. The weather promised much, but alas didn’t deliver…ah well. 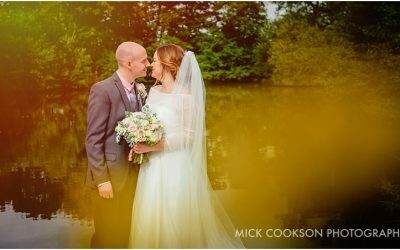 Not to be disheartened, I grabbed the Nikons and headed to capture Becci & Aaron’s wedding at Colshaw Hall. Colshaw Hall has a stunning purpose-built ‘chapel’ for wedding ceremonies. This ceremony hall can seat up to 180 guests, and is a perfect location for the ceremony. Guests can walk up the short pathway from The Peel Suite to The Stables, whilst the bride and bridesmaids are safely ‘delivered’ in a fantastic buggy! I caught up with the girls as they were finishing theirs and each other’s makeup. A great team effort this was. I also met up with the talented James Wray Lang again on video duties. 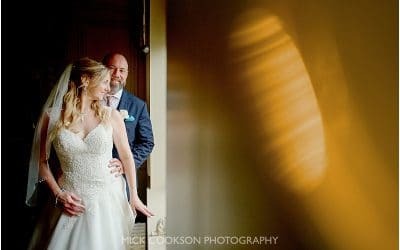 James is one of the best and most respected videographers in the business…well worth checking out if you’re getting married! 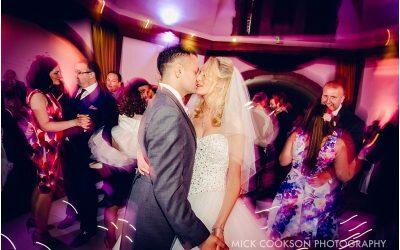 As the ceremony time approached, I caught up with Aaron and the wedding guests as they arrived at The Peel Suite. Though the weather was starting to fade, spirits remained high…and stayed high all day. What weather? 🙂 As the groomsmen made their way to The Stables, I just had enough time for a few portraits of Becci, who was looking stunning. Aaron never told me on the day about his alter-ego…but here is is in full swing, so to say. A very talented singer it seems (always the quiet ones, eh Aaron?). Check him out HERE….